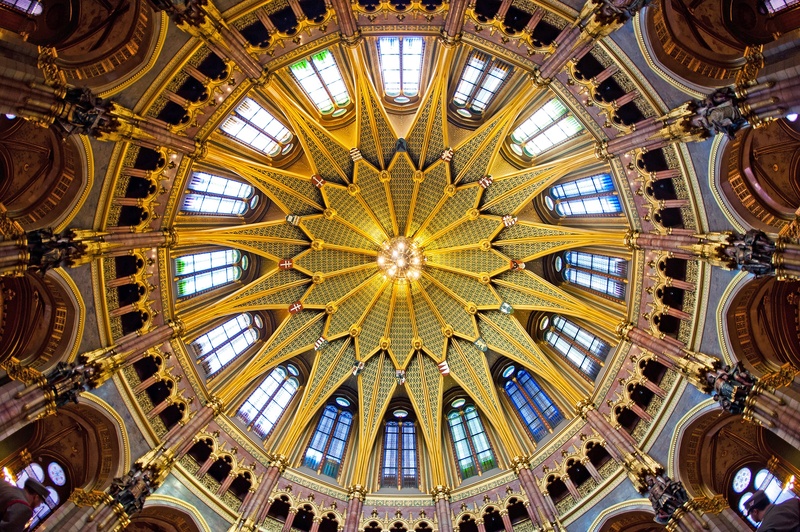 Budapest is history, food and culture all melt into one unforgettable experience. While the art cinemas, refined baths, old-fashioned cafés with their avant-garde food and coffee selections will sweep you off your feet, the traces of Goulash and wine will add extra spice to your stay. 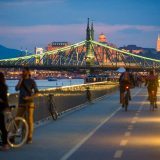 Why people chose Budapest over big European cities beyond its true beauty is the fact that it has plenty to offer all year round to anyone from families, singles, leisure and pleasure-seekers, foodies and vegans, coffee and wine-lovers to fashionistas, festival-lovers, hipsters or outdoorsies. The city remains affordable, with the more desirable hotels and restaurants attainable on most budgets. 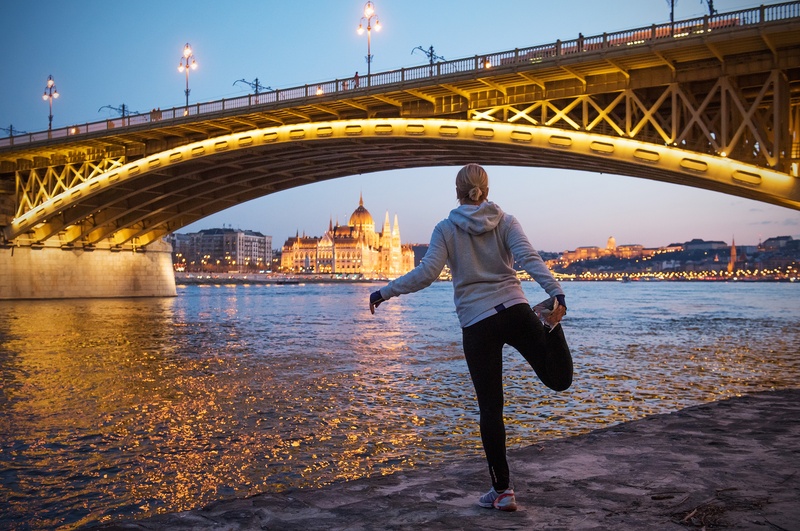 In this article we would like to show you how to spend 3 days in Budapest in style and comfort making the most out of your stay yet find time to relax. 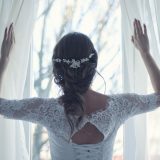 Start the day in style and fall in love with Hungarian hospitality. To start exploring Buda book your table in one of the city’s most famous cafes and celebrity hotspots: Café Deryne. A place with 100 years of heritage, designed with a classy but magical interior that immediately makes you feel that this place is something special. Deryne is one of the first institutions to grant a 24/7 coffehouse status in the city, with a French bakery and patisserie right on the premises, live music, fresh international papers and a lively terrace. Squeeze into the Castle Hill Funicular and climb slowly to the pedestrianised district of old Buda. Wander around the Royal Palace to step in the footstep of the Royals celebrating Hungary’s incredibly rich history of royals and ruling houses. Rebuilt in the 18th century by the Habsburgs, the Royal Palace today houses the Hungarian National Gallery and features Fishermen’s Bastion that will spoil you to one of the most breath-taking views in Europe. Walk through the little cobbled streets to find Matthias Church, the coronation place of old kings, with a multicoloured roof and elegant, renaissance walls looking over the royal castle. Today the castle is a residential area where people live within the historical walls and marble signs on the buildings commemorating war heroes, famous poets, politicians or even Olympic Champions. Watch out for them for the easiest way to get to know the rich history of the streets. Don’t leave Hungary before trying out at least one of our signature dishes: Gulash, Beef Stew or Fisherman’s Soup. Any of the restaurants in the castle will serve you our famous traditional meals and you shouldn’t be afraid to try a unique flavour you probably never tasted before. The full hike up to Gellert Hill only takes 20 minutes and covers lots of free sights with a combination of both history and beautiful views, including the most instagrammable places in the city. So, get your comfortable shoes on and leave the busy streets behind! The Gellert Hill Tour starts in St Gellert Square through Liberty Bridge and leads to the most stunning sights in of the city. For me information on the best things to do in Budapest please read our previous post about Fun things to do in Budapest. After a historical day in Buda you’re now familiar with all our Kings and Queens, and hopefully feel relaxed after a good night sleep in one of our hotels. However, on Day Two, get ready for something very different. Open your heart, your eyes and all your senses because Pest will take you back to careless teenage years when everything was possible. To start with the historic sites first, spend the morning and early afternoon with a comfortable stroll across Pest’s most famous streets. We, Hungarians, firmly believe that our Parliament building is one of the most beautiful of all – and it was indeed selected as a World Heritage site as a central element in the Danube panorama in 2011. Proudly facing the Royal Palace on the opposite side of the Danube, the Parliament also guards the Hungarian Holy Crown. 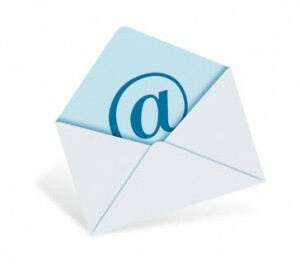 Click for all information about visiting the Parliament. Stroll further into Pest, taking in St Stephen’s Basilica and the Hungarian State Opera, before hopping onto one of Europe’s oldest metro lines, the M1 (opened 1896). This is where you find haute-couture from Louis Vuitton to Armani. 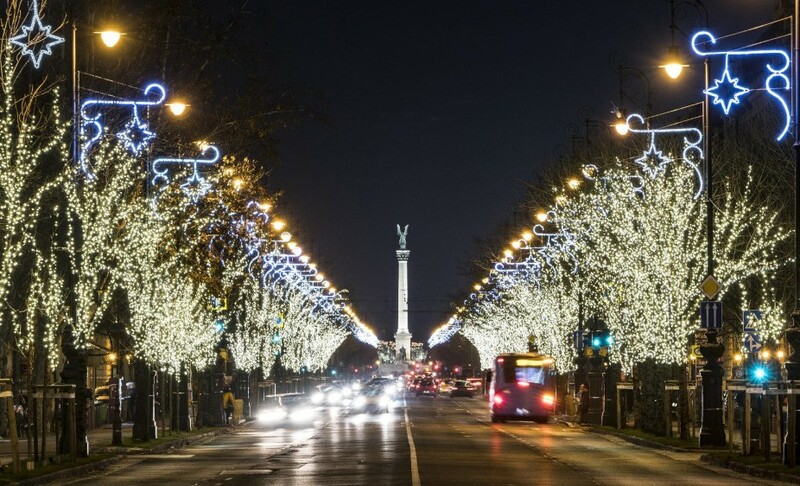 From St Stephen’s you have a straight easy walk down to Heroes’ Square across Andrassy Avenue that is home to Budapest’s major exhibition halls, fine architecture and museums, including the famous House of Terror. By their tagline Gozsdu is where happy people meet – and yes: the past couple of years Gozsdu Courtyard has been the place where the night began. With food, drinks and good company both locals and visitors feel at home here. It is a meeting point that connects gastronomy, culture and entertainment. Choose between Divino’s famous selection of wines, Spiler’s dirty burger and cheeky waiters or Pad Thai Wokbar’s Asian menu amongst many other restaurants serving delicious food in a great atmosphere. Then let the night take you to anywhere – the best clubs are all just a stone-throw away. Budapest’s first “ruin bar”, opened in an abandoned building in the city centre (Szimpla Kert – szimpla.hu) and since then ruined bars have been spreading like wildfire around the city and now represent an entire generation of youngsters who challenge the status-quo and are committed to make their voice heard. Mismatching furniture, brick walls, old toys, even an old Trabant car from East-Germany could be part of your best night in one of Budapest’s signature ruin bars across 7th District’, the famous Jewish Quarter. After a busy 2 days you have plenty of options to wind down and enjoy your last day in Budapest. By now you’ve been walking enough so why not embark a boat to see even more of the city. Explore more hidden gems directly from the Danube by taking a short cruise, including an audio history of the sights along the riverbanks. Legenda (legenda.hu) has 70-minute trips costing £10 for adults. 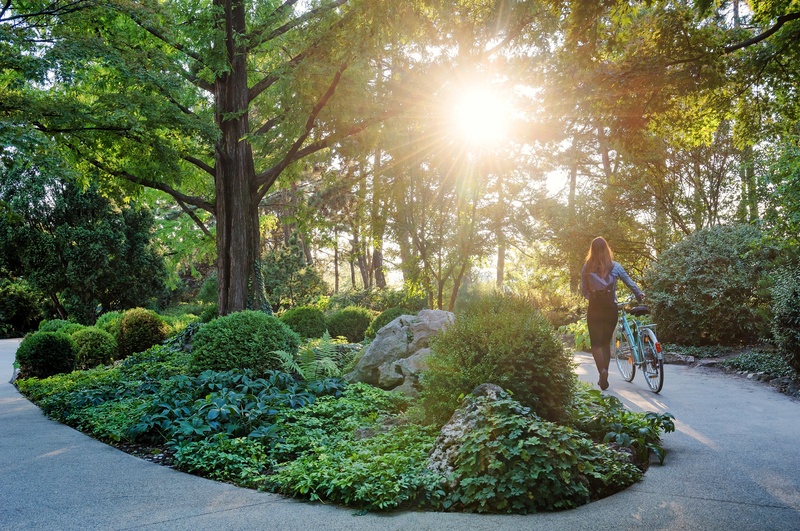 Disembark at Margaret Island for a stroll where the wooded island park is home to an overgrown chapel, Franciscan ruins and a fountain that dances to music. It is the best place for a leisurely walk or a picnic in fresh air after the 2 days of buzz in the city. Devote half a day to explore and enjoy the serenity on Margaret Island. 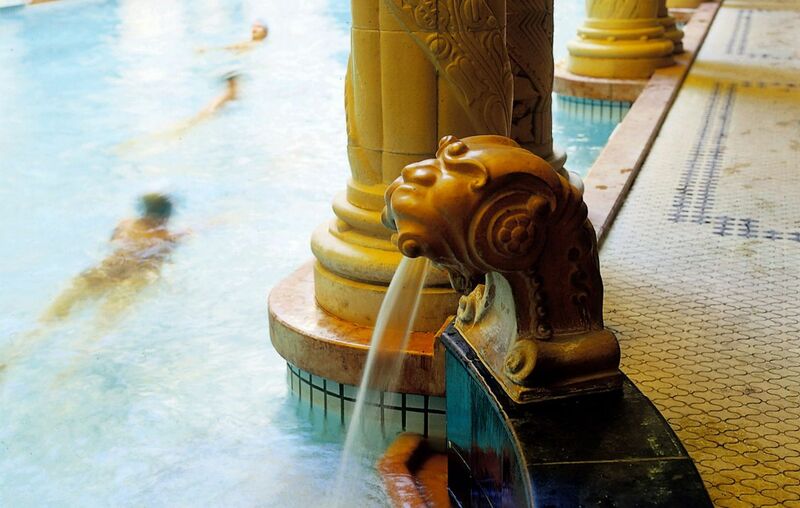 Hungary is famous for its thermal water so you’re at the perfect place to spoil yourself. 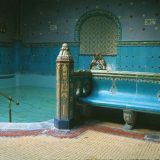 Gellert Spa is located next to the historic Hotel Gellert where the bath offers a wide range of healing treatments such as gentle and stronger massage, thai massage, sauna, steam rooms, pedicure, and several outdoor and indoor swimming and thermal pools of various sizes, an outdoor wave pool and hot tubs. Besides these facilities you can also enjoy yourself at the bathing terrace with a beautiful view on the surrounding Gellert Hill with a beer or a glass of wine or champagne in your hands. Budapest is an easy city to navigate, with the river at its heart. Cross one of the eleven bridges to Buda where the leafy hills hide natural hot springs and offers incredible views of the inner city and the surrounding natural wonders. If you wish to spoil yourself to a unique luxurious experience Hilton Budapest will do the job the for you. It will take you back to the ages of Kings and Queens right up in the heart of Buda Castle Royal District, a UNESCO World Heritage Site. The luxurious hotel offers its guests breath-taking panoramic views of the Danube both from their rooms and from their tables in the stylish ICON Restaurant. In case you needed a slightly more down to Earth option yet keeping a little bit of heaven, Hotel Flamenco is a perfect solution. 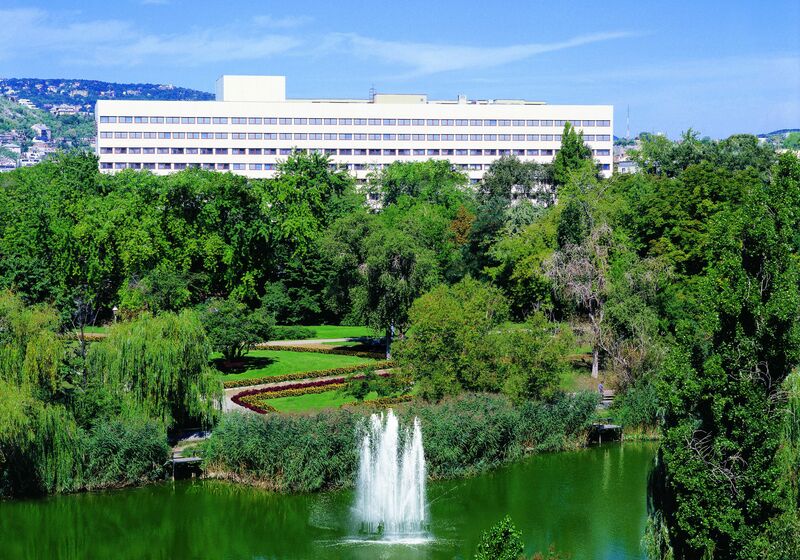 It offers a rare proposition of being close to the centre of Budapest yet surrounded by beautiful parkland. This four-star hotel near the so-called “Bottomless Lake” in Budapest’s 11th district has its own garage and rooftop car park, although it’s also easily accessible by public transport with metro, bus and tram stops a short walk away. On the opposite side of the gently rolling Danube there is Pest, the Eastern city. Hiding behind the gothic Parliament building that stretches alongside the river bank, Pest is where you can express your inner bohemian exploring attractive boulevards and the Jewish quarter, which has seen an avant-garde drinking scene develop around ran-down courtyards styled with modern art and mismatching flea market furniture. 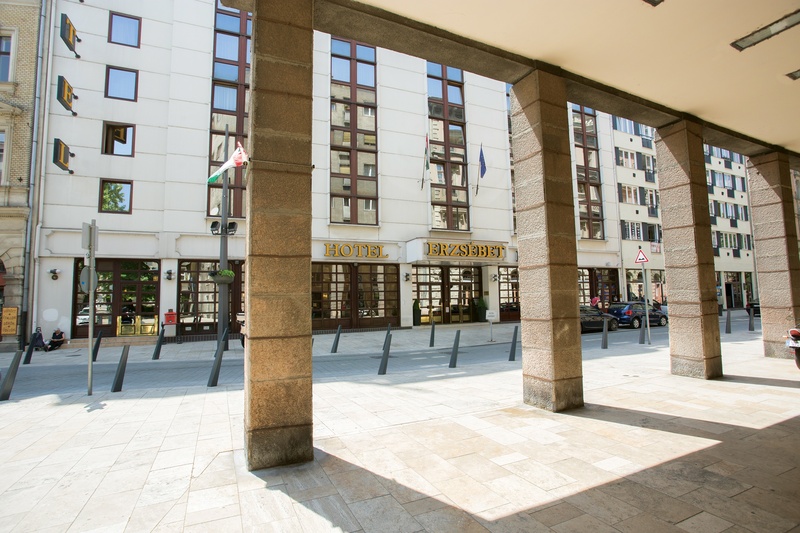 Wishing to stay close to the beating heart of the city centre Radisson Blu Béke Hotel is an ideal choice for everyone who wants to explore the rich cultural life of the capital. The theatres, museums, restaurants and cafés located nearby guarantee that those interested in high-end entertainment will not be bored for a moment. The hotel is located near Western (Nyugati) Railway Station, just a few steps from Andrássy Avenue, and easily accessible by car or public transport. 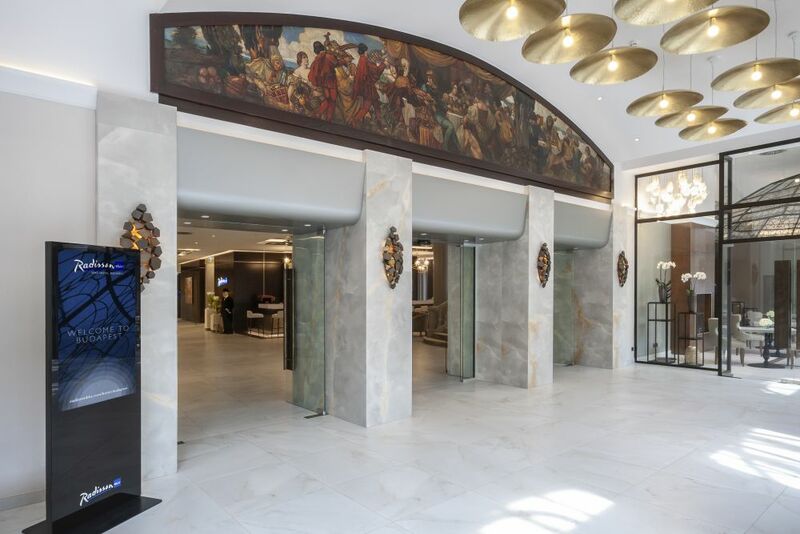 Another 4-star gem is Hotel Astoria City Center that opened in 1914 as one of the city’s most elegant hotels, and – over a century later – it stays true to that original character. Guests have always been attracted by its sublime fin-de-siècle architecture and comfortable rooms. 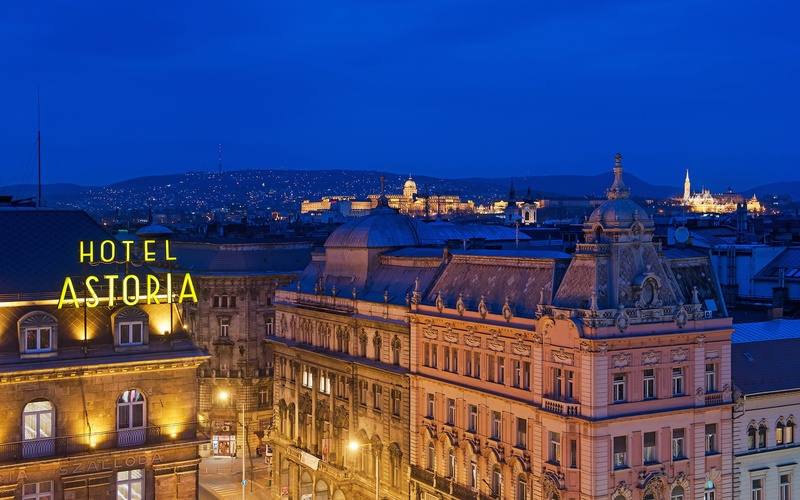 And its location: a 10-minute walk from prime attractions like the Hungarian National Museum, the Great Synagogue (the largest in Europe), the Danube promenade and the famous Váci Street. To further tighten the budget there are great 3-star options in the heart of the city such as Hotel Erzsebet. Whether you plan to do some sightseeing, browse the shops or go out for a special meal, this place is a great starting point. 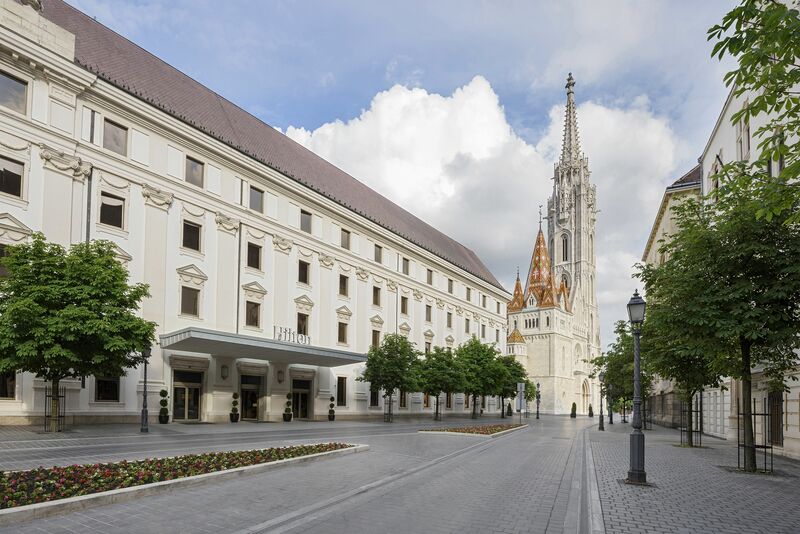 This modern, atmospheric hotel – occupying a recently pedestrianised street in the city centre – is popular among both business travellers and tourists exploring Budapest. It’s situated in the middle of bustling District 5, which is the capital’s business, commercial and cultural heartland. 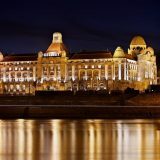 Whichever side you fancy being part of, Danubius Hotel Group will get you coered with an extensive selection of 3,4 and 5 star Budapest hotels around the city. With best price guarantee you’re also ensured you find the best value for your money regardless of your budget. From European countries most airlines fly directly to Budapest’s only airport, Liszt Ferenc International Airport. It’s quick and easy to get thru customs and passport control, collect your luggage and off you go to explore the hidden gems of the city. There are several easy ways to continue your journey to downtown Budapest from taking a taxi to using public transport. On the way out of the airport un-licenced taxis might try to offer you a ride to the city centre, however it’s recommended you always choose the airport’s official partner, Főtaxi, the oldest taxi company in the country. Taxi drivers speaking at least one foreign language are in service with large, category ‘A’ cars. Reservations can be made in person at the Főtaxi booths located at the exits at Terminals 2A and 2B. At the taxi rank in front of the stands, taxis are parking continuously waiting for passengers. A one-way ride to the city centre should not cost more than 9000 HUF (25-30 EUR) and takes about 3o to 40 minutes. All cars accept card payment. More information on the airport’s official website. MiniBUD provides comfortable and fast transfer solutions for passengers wishing to travel from the airport to the districts of Budapest, and from the city to the airport. There are plenty of internationally trusted and well-known car hire companies located at the airport building giving you an easy and comfortable access to rent a car. You can book online prior to your arrival so you would spend only a couple of minutes more at the airport to pick up your car. The complete list of the car hire companies operating at Liszt Ferenc International Airport is found on the airport’s official website. As of 7 July, a direct bus line connecting the airport with the city centre was introduced which was long awaited: bus line 100E takes passengers directly to Deák tér (Deak Square). The first bus leaves from the airport each morning at 05:00, and the last one at 0:30. Bus 100E stops between the two terminals on the arrival level. Important that a special ticket must be purchased which costs 900 HUF (2,5-3 EUR) – other tickets or season tickets are not valid on this service. Tickets can be purchased at the transport company, BKK’s customer service points, at the post office, the newsagents (Relay) and from ticket machines at the bus stop. 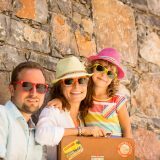 Eastern European countries have a unique proposition with their geographic location that offers a 4-season experience from hot long summers to snowy winters. At any time during the year you fancy a long weekend Budapest always has something to offer. If you are all about the hot weather book your trip from March to early September. Spring is absolutely gorgeous with the blooming trees and the waking nature – besides all the outdoor events the city is famous for, open-air bars and theatres as well as some of Europe’s coolest festivals (Sziget Festival is one of the biggest events of the year attracting people from all over the World). To avoid the heatwave choose late March to mid June, otherwise get ready for a “hot” experience. The trees remain clothed in green until the beginning of October and then all of a sudden, green turns to rusty brown and pale yellow… Autumn in Budapest is beautiful. The air is cooler with a tincture of earthiness – just a hint that brought to mind the cosy evenings and warm soups to come. All the summer events will go back inside again and the days slowly become shorter and shorter to get ready for the cold and snowy winter. 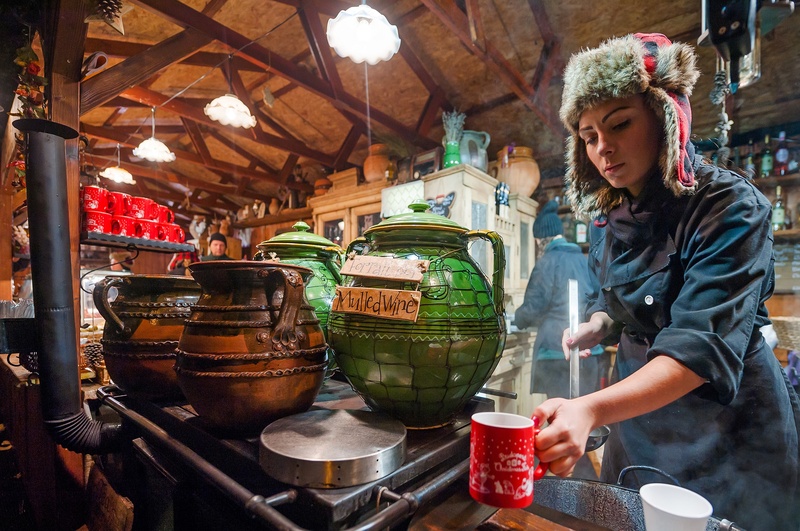 From November to beginning of January don’t miss the Christmas market by St Stephen’s where you can fill up your mugs again with mulled wine and feel the unreplaceable taste of winter spices. If you’re well into the Festive Spirit you can book different tours from Christmas market tours to Wine, Craft Beer or Mulled Wine Tasting. Budapest is an ever-changing city that somehow remains the same: with history and culture it will always have a good story to tell. 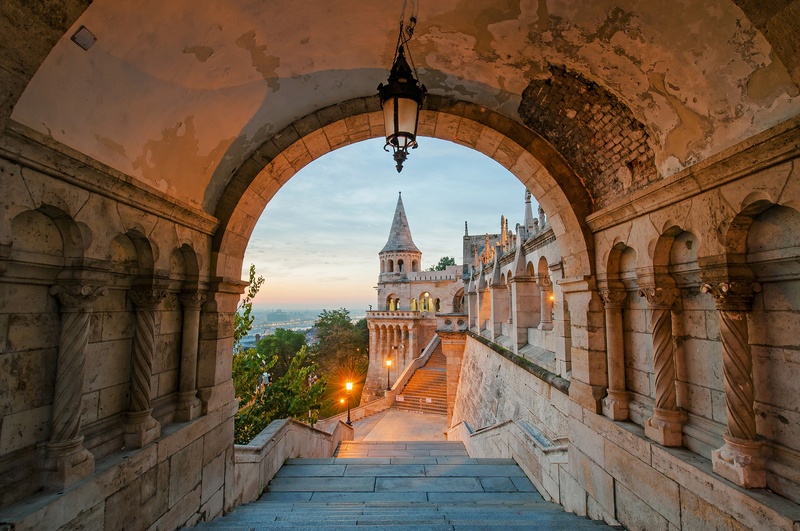 Whatever you need a Budapest city break for: to relax, to explore, to get away from your daily problems this is where you will fall in love with life again.